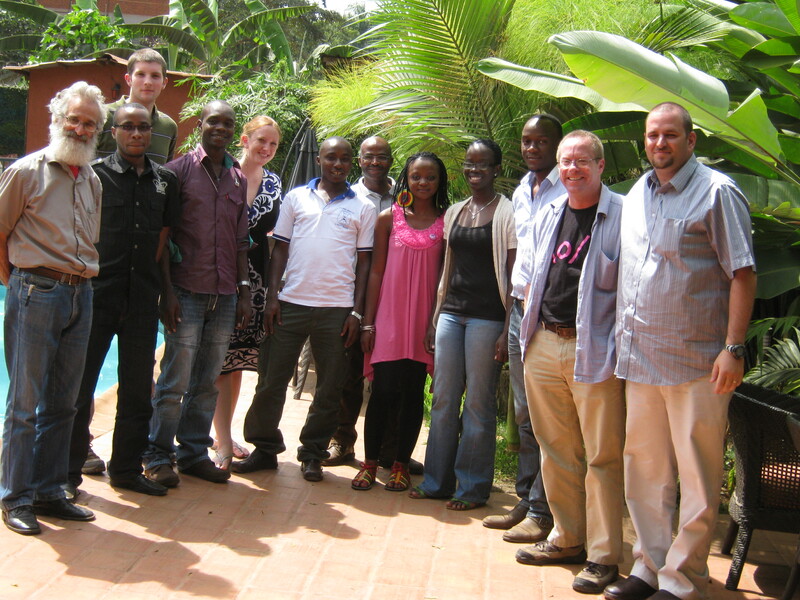 In early January, a small gathering of the tech community took place in Uganda to discuss technology for social change and in particular, using mobiles for international development (M4D) and the application FrontlineSMS. 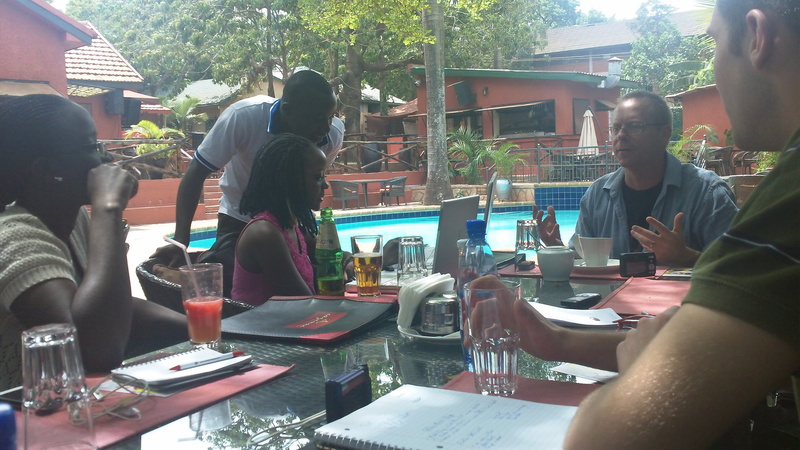 The lunch meeting was held in the relaxing, poolside atmosphere of the Cayenne Restaurant in Kampala, a great place to share ideas and build relationships. Similar in purpose to the FrontlineSMS meetup in Port-au-Prince, Haiti in November, this gathering had a slightly different mix of participants and outcomes. Attended by several NGO’s, independent consultants and even one of the leaders at Hive Colab, a collaborative tech workspace in Kampala. It quickly became apparent that some of the attendees were already familiar with each other, but other connections were made, which may result in future collaborations amongst the group. The highlight of the event was working with Evelyne from Solar Sister and Cyprian, ICT administrator at Uganda Martyrs University on resolving a modem compatibility issue with Ubuntu Linux. As it turned out my Orange modem, which was a Huawei model E173, worked just fine. So if you or your organization is looking to deploy FrontlineSMS in Uganda, this is a proven, tested GSM modem. In my volunteer role as a FrontlineSMS Hero providing forum support, it’s encouraging to see the meetups growing in popularity, with much help from the FrontlineSMS Community Manager Flo. It seems there’s been interest for meetups in Addis Ababa, Ethiopia, Phnom Penh, Cambodia and another already scheduled in Kampala. 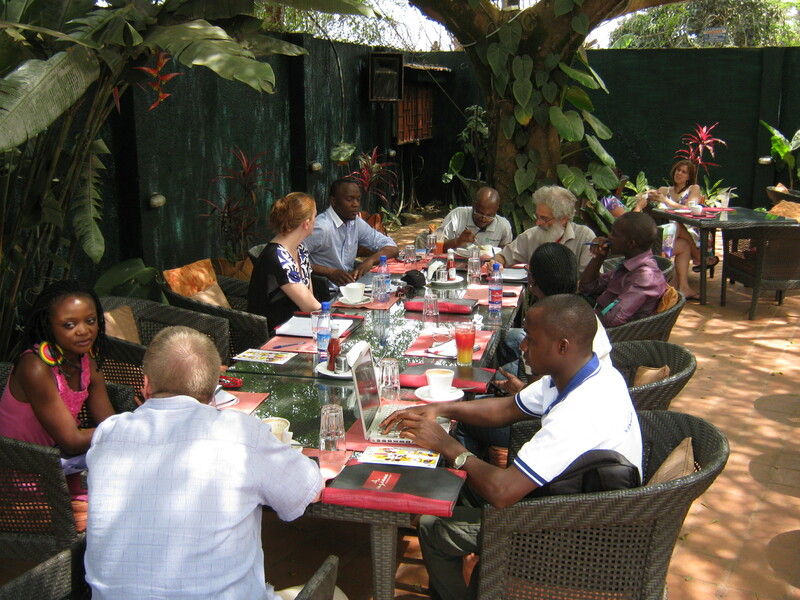 As these meetups around FrontlineSMS and M4D gain traction around the world, it shows the desire of users to self-form and organize their own local support networks. Building, or in some cases, enhancing community of practice, can serve as a real catalyst for social change.